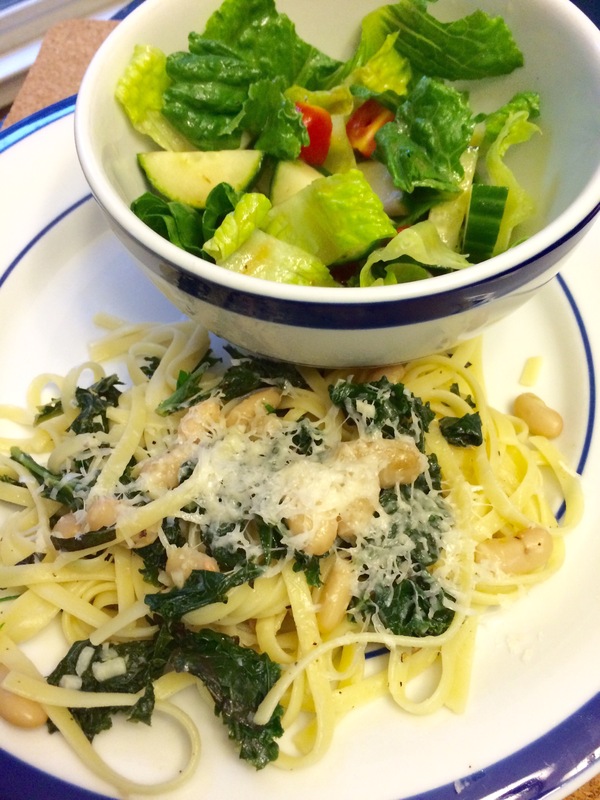 Linguine with Garlicky Kale and White Beans, #CookingLightDiet Style! Hello, old friend. This is the favorite that started it all. Don’t be scared of the 1/4 cup of garlic. Trust them- its delicious! Looks so good–I will give it a try this week. I love the idea of beans with pasta and greens. It all goes very well together. So flavorful and good for you. Looks delicious and I will also give it a try later this week!